Everyone who has laid out underneath the sky on a clear summer night to watch the stars knows what a wonderful and overwhelming experience this is. With this laser star projector, you can now enjoy such magnificent sights without having to leave your own home. You also don’t have to worry about clouds covering the stars or it starting to rain and putting an end to your pleasure. You can literally “reach for the stars” with the laser cosmos projector, through the laser lights show. You don’t have to go out to experience the exquisite night sky or a meteor shower, the laser star projector will bring it to you. You will be able to enjoy the awe of the universe in the comfort of your own home. If you’ve had a tiring day at work, it will be great to relax by turning on the laser cosmos projector, which will create a glittering universe across your ceilings and walls. You can also use it to establish a romantic atmosphere at home to enjoy an evening in with your partner or give you a calming experience right before you sleep. 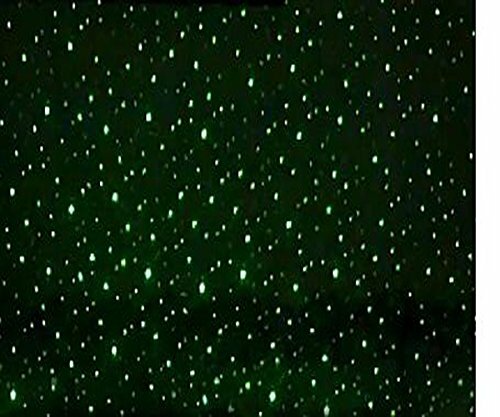 The laser twilight star projector displays crystal clear green animated stars, filling any room regardless of size with many super sharp stars. 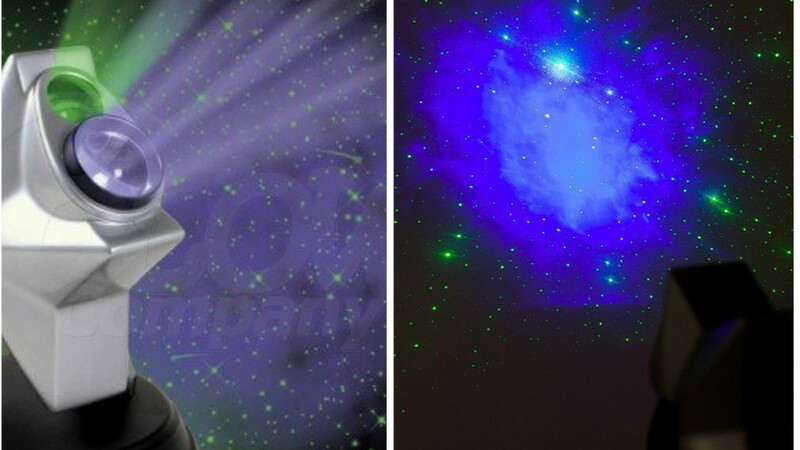 The laser cosmos projector can create thousands of stars with or without the blue cloud formations. The stars also slowly rotate, reflecting the earth’s movement. The laser star projector is a great way to unwind and meditate and solve the mysteries of the universe in your own home. It is a splendid gift, which would captivate people from all age groups.